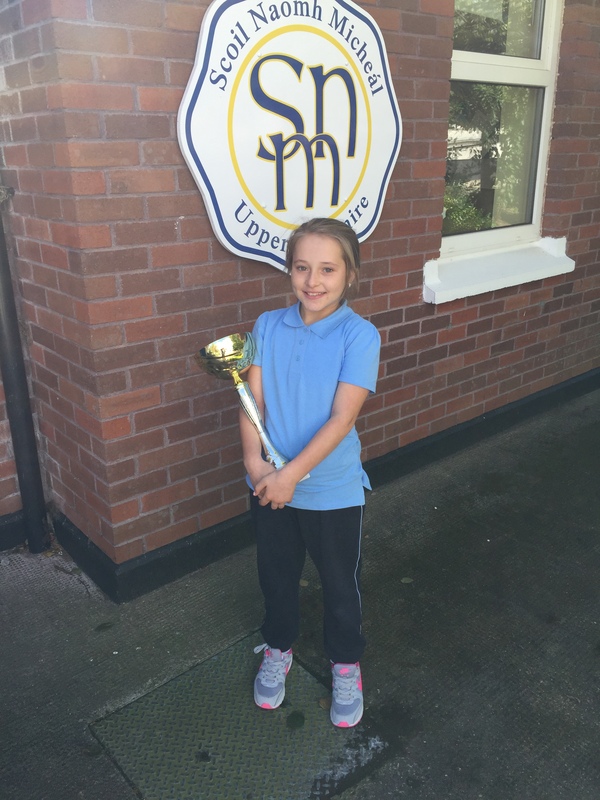 Kiely with her trophy for Disco Dancing. She won it at a competition in Limerick during the summer. Well done Kiely! 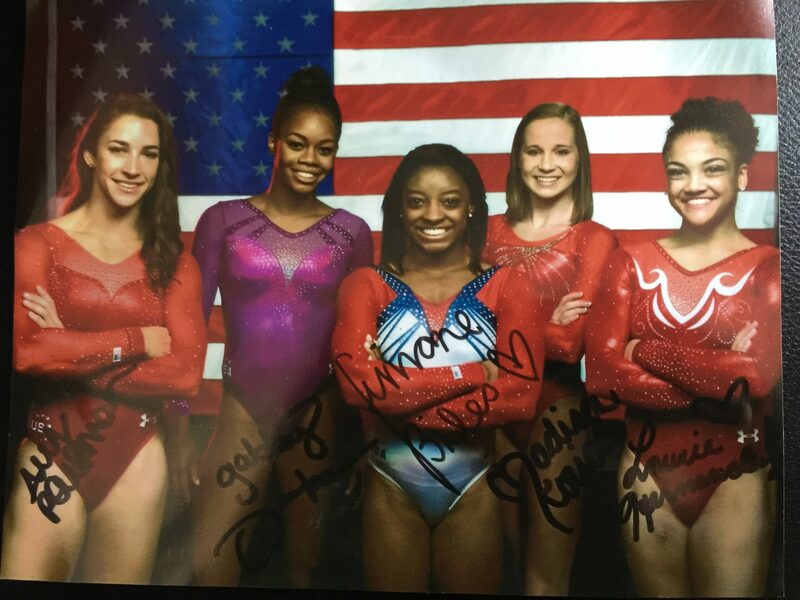 Rebecca showed us this fabulous signed picture of the USA gymnastics team that she got from the Olympics in Rio!